Former soldier of polish Armed Forces Participated in Golan Heights UNDOF peace mission 1997-1998 as a Infantry HQ Platoon CO, and in Coalition Operation in Iraq MND CS, 2005-2006 as a Battle Captain in Brigade Tactical Operation Centre. During military service, participated in many military trainings in Norway, Germany (with US Infantry Division – Big Red One), Uzbekistan, and also in Poland with French, Ukrainian, Canadian or Great Britain soldiers. Military career end up in rank of captain in 2009. From 2009 university teacher and researcher. 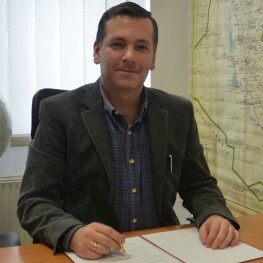 Director of the National Security Department, member, fellow of the Institute of Researches on the Civilizations and founder of the Center for National Security Studies in the University of Information Technology and Management in Rzeszow, Poland. Zimbardo-Team member, Head of the Center for Conflict Resolution of prof. Zimbardo, Research Fellow in the Pulaski Foundation. Research area focused on the US policy in the Middle East, especially with the effect of the failed Iraqi intervention on the regional situation. Also conflict in Ukraine and Russian proxy war in that country. 2nd Lt and engineer, after Military Academy (High Military School of Telecommunication). M.A. in National Defense Academy in Warsaw, Ph. D. in Jagiellonian University, Krakow, both in ancient history. Currently post-doctoral research on US policy in the ME, with special emphasis on consequences of Iraq war and occupation for the US policy and the region.